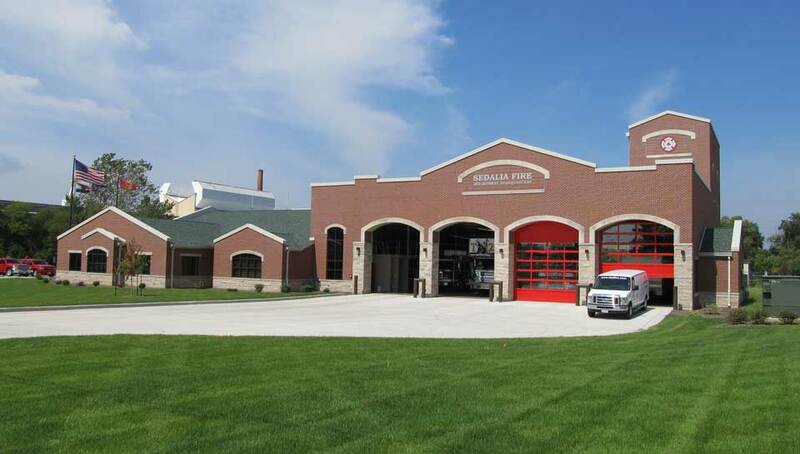 Sedalia Fire Station - PWArchitects, Inc. 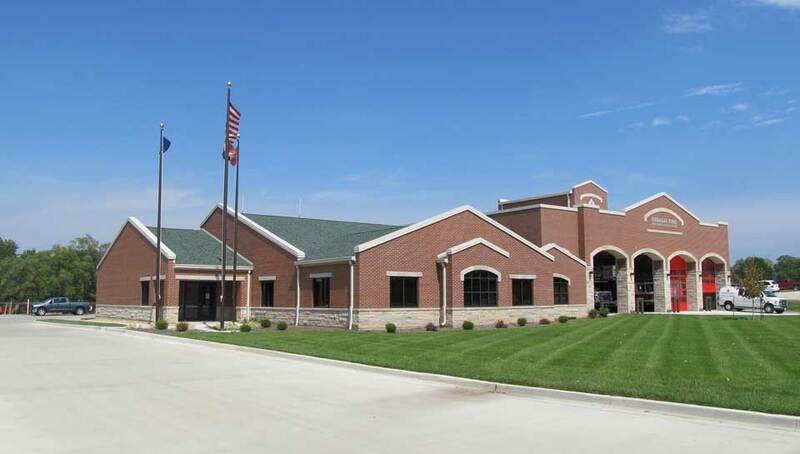 In 2010 the City of Sedalia teamed with PWA and Septagon Construction Management to study the ability of the City to replace their outdated Fire Station #2. The City set goals for increased physical and classroom training along with the relocation of Fire Administration to this location. A new ladder truck was also to be added to the City complement of apparatus and no current station was large enough to accommodate such a vehicle. 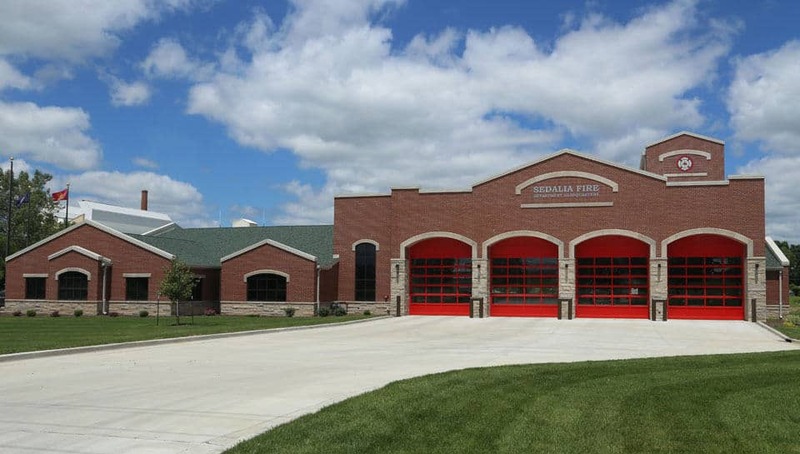 The design of the new Sedalia Fire Station more than triples the size of the existing station while providing for new modern apparatus, physical and classroom training activities and new administration headquarters. The classroom is also available for community use and will become a center for public activities that have been needed in the area. The project is being completed in two phases: First moving the existing National Guard motor pool to make way for the Second stage of adding the new station. The complexity of building the new larger station behind the existing station so that fire service could be maintained was a team effort in coordination and creativity. 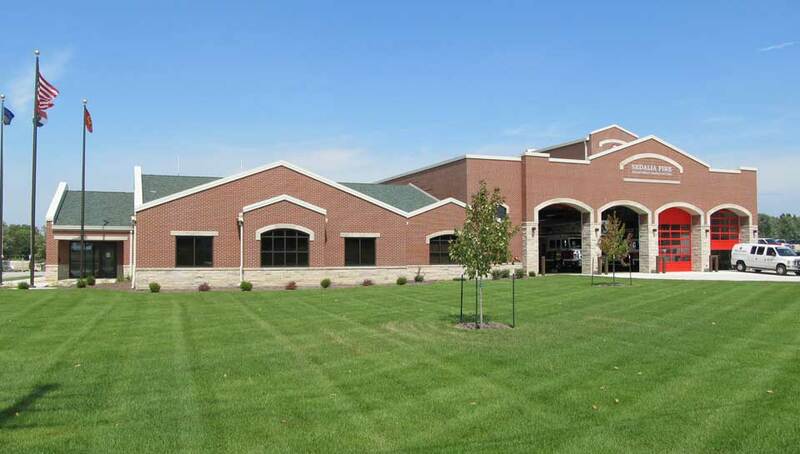 Working together with the construction Manager, City fire Administration, and Firefighters the final goal was to create a building in keeping with the Architectural feel and style that would complement the existing area adjacent to the State Fair Grounds. The station is set to be completed in the fall of 2013 and will serve the needs of the community and the city for many years to come.